Plantar Fasciitis is the Latin term for “inflammation of the plantar fascia”. The plantar fascia is a thick, fibrous ligament that runs under the foot from the heel bone to the toes. It forms the arch of the foot and functions as our natural shock-absorbing mechanism. Unlike muscle tissue, the plantar fascia is not very elastic and therefore is very limited in its capacity to stretch or elongate. Herein lies the problem, when too much traction is placed on the plantar fascia (for various reasons) micro-tearing will occur, resulting in irritation, inflammation and pain. Plantar Fasciitis usually causes pain under the heel. However some people may experience pain under the arch of the foot. Both heel pain and arch discomfort are related to Plantar Fasciitis, with heel pain being far more common than arch pain. The plantar fascia can also become aggravated by repetitive activity. If you increase the number of times the heel hits the ground, that can cause plantar fasciitis, a number of people develop problems when their feet are unaccustomed to hard tile or wood floors. Other risk factors for plantar fasciitis include obesity, an extra high or low foot arch, and activities like running. Rest the foot as much as you can, especially during the beginning of the treatment. Try to avoid unnecessary foot activity like running, or excess standing. Instead, perform exercises that do not put stress on the injured foot, like bicycling or swimming. Apply ice to the painful area a few times a day to reduce inflammation. Try rolling the arch of the foot over a tennis ball or a baseball. A good treatment is rolling the arch of the foot over a frozen soft drink can. This exercise cools and stretches the affected area. You can use over-the-counter pain relievers (ibuprofen, naproxen) to reduce pain and inflammation. Use an over-the-counter arch support or heel support. Avoid walking barefoot, because it may add stress on the plantar fascia. Exercise your feet to make the muscles, ligaments, tendons and other parts stronger. Stronger foot muscles give better support to the plantar fascia preventing it from another injury. Stretching the foot, the plantar fascia and the calf muscles a few times a day is an essential part of treatment and prevention. Most patients have good results from surgery. However, because surgery can result in chronic pain and dissatisfaction, it is recommended only after all nonsurgical measures have been exhausted. The most common complications of release surgery include incomplete relief of pain and nerve damage. Exercises designed to stretch both your calf muscles and your plantar fascia (the band of tissue that runs under the sole of your foot) should help relieve pain and improve flexibility in the affected foot. A number of stretching exercises are described below. It’s usually recommended that you do the exercises on both legs, even if only one of your heels is affected by pain. This will improve your balance and stability, and help relieve heel pain. Towel stretches. Keep a long towel beside your bed. Before you get out of bed in the morning, loop the towel around your foot and use it to pull your toes towards your body, while keeping your knee straight. Repeat three times on each foot. Wall stretches. Place both hands on a wall at shoulder height, with one of your feet in front of the other. The front foot should be about 30cm (12 inches) away from the wall. With your front knee bent and your back leg straight, lean towards the wall until you feel a tightening in the calf muscles of your back leg. Then relax. Repeat this exercise 10 times before switching legs and repeating the cycle. You should practise wall stretches twice a day. Stair stretches. Stand on a step of your stairs facing upstairs, using your banister for support. Your feet should be slightly apart, with your heels hanging off the back of the step. Lower your heels until you feel a tightening in your calves. Hold this position for about 40 seconds, before raising your heels back to the starting position. Repeat this procedure six times, at least twice a day. Chair stretches. Sit on a chair, with your knees bent at right angles. Turn your feet sideways so your heels are touching and your toes are pointing in opposite directions. Lift the toes of the affected foot upwards, while keeping the heel firmly on the floor. You should feel your calf muscles and Achilles tendon (the band of tissue that connects your heel bone to your calf muscle) tighten. Hold this position for several seconds and then relax. Repeat this procedure 10 times, five to six times a day. Dynamic stretches. While seated, roll the arch of your foot (the curved bottom part of the foot between your toes and heel) over a round object, such as a rolling pin, tennis ball or drinks can. Some people find that using a chilled can from their fridge has the added benefit of helping to relieve pain. Move your foot and ankle in all directions over the object for several minutes. Repeat the exercise twice a day. Heel pain is most commonly caused by plantar fasciitis, which is the swelling of the tissue that connects the heel bone to the toes at the bottom part of the foot, also known as the plantar fascia. Plantar fasciitis is often described as sharp pain in the middle of the heel, which is typically worse after periods of rest when fascia contracts. The pain usually becomes more bearable as the muscles loosen up during the low-impact walking, but can return even worse after extended periods of walking or standing. The plantar fascia serves as a shock absorber and supports the foot’s arch. Too much tension on the plantar fascia can cause inflammation and swelling. Fortunately in most cases, plantar fasciitis treatment is fairly conservative. Plantar fasciitis exercises, medications and orthotics are usually all that’s needed to manage the pain. Most severe cases may require surgery. It usually starts following an increase in activity levels. Increase in weight. Standing for long periods. Poor footwear. Tight muscle groups. Abnormal pressure on the plantar Fascia can be caused by any of the above. The plantar fascia becomes inflamed and tiny rips can occur where it attaches into the inside of the heel bone. The area becomes inflamed and swollen, and it is the increase in fluid to the area that accumulates when weight is taken off the area that then causes the pain on standing. If conservative treatments fail, and the symptoms of plantar fasciitis have not been relieved, the doctor may recommend one of the following treatments. Cortisone, or corticosteroids, is medications that reduce inflammation. Cortisone is usually mixed with local anesthetics and injected into the plantar fascia where it attaches to the heel bone. In many cases this reduces the inflammation present and allows the plantar fascia to begin healing. Local injections of corticosteroids may provide temporary or permanent relief. Recurrence of symptoms may be lessened by combining steroid injections with other forms of treatment such as orthotics, changes in shoe gear, weight loss, stretching exercises, and rest. Repeated cortisone injections may result in rupture of the plantar fascia, thinning of the heel’s fat pad, and other tissue changes. Extracorporeal Shock Wave Therapy (ESWT) devices generate pulses of high-pressure sound that travel through the skin. For reasons that are not fully understood, soft tissue and bone that are subjected to these pulses of high-pressure energy heal back stronger. There is both a high-energy and low-energy form of ESWT; and both forms of shock wave therapy can be used in the treatment of plantar fasciitis. Research studies indicate ESWT is a safe and effective treatment option for plantar fasciitis. The recovery period is shorter than traditional invasive surgery and the procedure eliminates many of the risks associated with traditional surgery. Surgery is rarely needed in the treatment of plantar fasciitis. The vast majority of patients diagnosed with plantar fasciitis will recover given ample time. With some basic treatment steps, well over 90% of patients will achieve full recovery from symptoms of plantar fasciitis within one year of the onset of treatment. Simple treatments include anti-inflammatory medication, shoe inserts, and stretching exercises. In patients where a good effort with these treatments fails to provide adequate relief, some more aggressive treatments may be attempted. These include cortisone injections or extracorporeal shock wave treatments. The following steps will help prevent plantar fasciitis or help keep the condition from getting worse if you already have it. Take care of your feet. Wear shoes with good arch support and heel cushioning. If your work requires you to stand on hard surfaces, stand on a thick rubber mat to reduce stress on your feet. Do exercises to stretch the Achilles tendon at the back of the heel. This is especially important before sports, but it is helpful for non-athletes as well. Ask your doctor about recommendations for a stretching routine. Stay at a healthy weight for your height. Establish good exercise habits. Increase your exercise levels gradually, and wear supportive shoes. If you run, alternate running with other sports that will not cause heel pain. Put on supportive shoes as soon as you get out of bed. Going barefoot or wearing slippers puts stress on your feet. If you feel that work activities caused your heel pain, ask your human resources department for information about different ways of doing your job that will not make your heel pain worse. If you are involved in sports, you may want to consult a sports training specialist for training and conditioning programs to prevent plantar fasciitis from recurring. The plantar fascia (a connective tissue structure) stretches from the toes and ball of the foot, through the arch, and connects to the heel bone in three places: outside, center and inside. Normally it helps the foot spring as it rolls forward. It also provides support for the arch of the foot. The plantar fascia helps keep the foot on track, cutting down on oscillation. When the foot over-pronates (rolls to the inside) the plantar fascia tries to stabilize it and prevent excessive roll. In time, the inside and sometimes center connections are overstressed and pull away from their attachments. The first sign is usually heel pain as you rise in the morning. When you walk around, the pain may subside, only to return the next morning. Inflammation and increased soreness are the results of long-term neglect and continued abuse. A heel bone spur may develop after a long period of injury when there is no support for the heel. The plantar fascia attaches to the heel bone with small fibers. When these become irritated they become inflamed with blood containing white blood cells. Within the white blood cells are osteoblasts which calcify to form bone spurs and calcium deposits. The body is trying to reduce stress on that area by building a bone in the direction of stress. Unfortunately, these foreign substances cause pain and further irritation in the surrounding soft tissue. The condition typically starts gradually with mild pain at the heel bone often referred to as a stone bruise. You’re more likely to feel it after (not during) exercise. The pain classically occurs right after getting up in the morning and after a period of sitting. If you don’t treat plantar fasciitis, it may become a chronic condition. You may not be able to keep up your level of activity, and you may develop symptoms of foot, knee, hip and back problems because plantar fasciitis can change the way you walk. A health care professional will ask you whether you have the classic symptoms of first-step pain and about your activities, including whether you recently have intensified your training or changed your exercise pattern. Your doctor often can diagnose plantar fasciitis based on your history and symptoms, together with a physical examination. 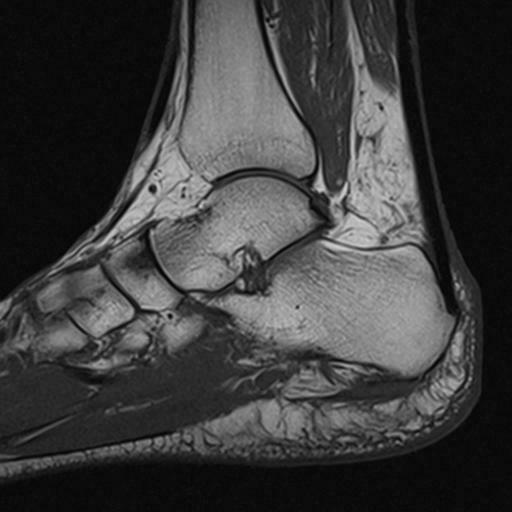 If the diagnosis is in doubt, your doctor may order a foot X-ray, bone scan or nerve conduction studies to rule out another condition, such as a stress fracture or nerve problem. Conservative treatment is almost always successful, given enough time. Traditional treatment often includes, rest, NSAIDs, and new shoes or heel inserts. Some doctors also recommend avoiding walking bare-footed. This means you’d have to wear your shoes as soon as you wake up. Certain foot and calf exercises are often prescribed to slowly build strength in the ligaments and muscles that support the arch of the foot. While traditional treatment usually relieves pain, it can last from several months to 2 years before symptoms get better. On average, non-Airrosti patients tend to get better in about 9 months. Most practitioners agree that treatment for plantar fasciitis is a slow process. Most cases resolve within a year. If these more conservative measures don’t provide relief after this time, your doctor may suggest other treatment. In such cases, or if your heel pain is truly debilitating and interfering with normal activity, your doctor may discuss surgical options with you. The most common surgery for plantar fasciitis is called a plantar fascia release and involves releasing a portion of the plantar fascia from the heel bone. A plantar fascia release can be performed through a regular incision or as endoscopic surgery, where a tiny incision allows a miniature scope to be inserted and surgery to be performed. About one in 20 patients with plantar fasciitis will need surgery. As with any surgery, there is still some chance that you will continue to have pain afterwards. If your Foot Callous feels like a bruise or a dull ache, you may have metatarsalgia People with metatarsalgia will often find that the pain is aggravated by walking in bare feet and on hard floor surfaces. Pain in the ball of your foot can stem from several causes. Ball of foot pain is the pain felt in the ball of foot region. Metatarsalgia is a condition characterized by having pain in ball of foot. The average adult takes about 9,000 steps per day. Orthotics are shoe insoles, custom-made to guide the foot into corrected biomechanics. Orthotics are commonly prescribed to help with hammer toes, heel spurs, metatarsal problems, bunions, diabetic ulcerations and numerous other problems. They also help to minimize shin splints, back pain and strain on joints and ligaments. Orthotics help foot problems by ensuring proper foot mechanics and taking pressure off the parts of your foot that you are placing too much stress on. Dr. Cherine’s mission is to help you realize your greatest potential and live your life to its fullest.